“We will deepen and broaden sanctions in Russia’s financial, energy, and defense sectors. These measures will increase Russia’s political isolation as well as the economic costs to Russia, especially in areas of importance to President [Vladimir] Putin and those close to him,” US President Barack Obama said in a statement on Thursday. "We are watching closely developments since the announcement of the ceasefire and agreement in Minsk, but we have yet to see conclusive evidence that Russia has ceased its efforts to destabilize Ukraine," Obama said. "If Russia fully implements its commitments, these sanctions can be rolled back." While details officially remain unknown, a Reuters source has alleged that the US intends to sanction Russia’s largest bank, Sberbank, and tighten restrictions on other Russian banks. Previously, access to the US capital market was restricted for five Russian banks – VTB, Gazprombank, Bank of Moscow, Russian Agricultural Bank and Vnesheconombank (VEB). The Aug. 1 sanctions restricted Sberbank’s activity in the EU. As for the European Union, the bloc will list their new limitations in the official journal Friday, which will mean they will come into effect immediately. Brussels will add 24 individuals to the list which blocks travel to the EU and asset freezes. Russian leaders and businessmen, as well as politicians in Crimea and the Donbass, will be added to the blacklist. According to the official document, the EU will halt services Russia needs to extract oil and gas in the Arctic, deep sea, and shale extraction projects. Three of Russia’s major energy companies and the country’s three largest defense entities will be restricted from raising long-term debt on European capital markets, Van Rompuy said. Five major Russian state-owned banks will also be banned from any long-term (over 30-day) loans from EU companies. Major Russian defense companies will be barred from debt refinancing, and the EU will also ban the export of any technology considered military “dual-use” to nine Russian companies. Meanwhile, an EU source told RIA-Novosti news agency that the fresh European Union sanctions won’t affect the Russian gas sector. "The energy sector affected by these sanctions is limited to the oil sector," the source said. On July 16, the US blacklisted several defense sector companies include Almaz-Antey Corporation, the Kalashnikov Concern and Instrument Design Bureau, as well as companies such as Izhmash, Basalt, and Uralvagonzavod. If the EU follows the US lead on hitting Russian companies that also supply the Russian military, the above mentioned will be blocked from debt financing. The European Commission has agreed to amend or suspend the sanctions in accordance with progress in Ukraine. A ceasefire was agreed by the Ukrainian government and rebels in the East on September 5. 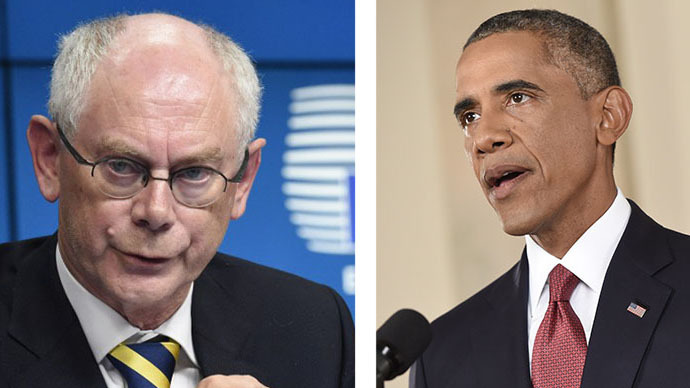 “Thus, if the situation on the ground can be trusted, the European Commission and the EU Foreign Service will request to amend, suspend, or cancel sanctions, either in part or in full,” Van Rompuy said, as quoted by ITAR-ITASS. 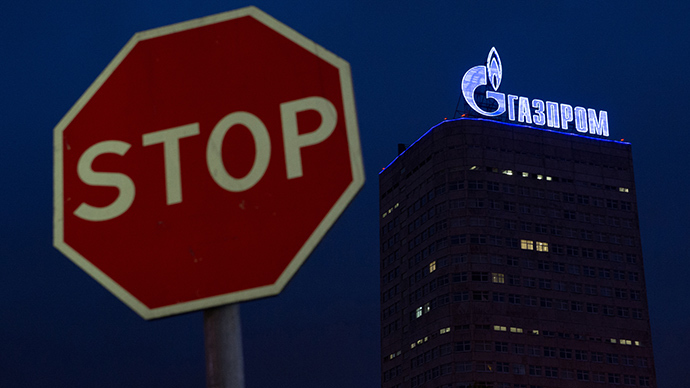 Media sources suggest Gazprom Neft, Transneft, and Rosneft will all fall under Friday’s sanctions. Gazprom Neft is the oil subsidiary of Russian gas giant Gazprom. Transneft is Russia's state-owned oil pipeline company that exports all of Rosneft’s crude oil, and exports 56 percent of Russia’s total crude exports. Rosneft, Russia’s largest oil producerwas put on the US sanctions list on July 16 and later added to the EU list on July 29. In July, Russia’s largest independent natural gas producer, Novatek was also added to the blacklist which bans the export of hi-tech oil equipment needed in Arctic, deep sea, and shale extraction projects to Russia. 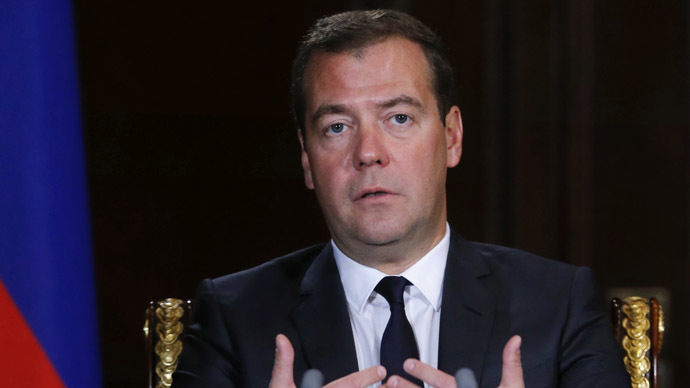 Russia said it will respond to Western sanctions with equal strength, and last week Prime Minister Dmitry Medvedev said that closing Russian airspace to European airlines was an option being considered. President Putin’s spokesman, Dmitry Peskov, said that new EU sanctions make no sense, as they are being introduced when Russia is making vigorous efforts to stop the bloodshed in southeastern Ukraine. “The EU doesn’t see, or prefers not to see, the real state of events in [Ukraine’s] Donbass and doesn’t want to know about the efforts aimed at settling the conflict,” Peskov said. “We regret the EU’s decision to impose new sanctions. We repeatedly expressed our disagreement and incomprehension about the sanctions that were implemented earlier, which we considered and will consider illegal,” he added. Russia’s Foreign Ministry said Thursday that the EU was apparently very much against any peaceful resolution of the crisis in Ukraine. “By taking this step, the European Union has de facto made its choice against a peaceful resolution of the inter-Ukrainian crisis,” the ministry said in a statement.